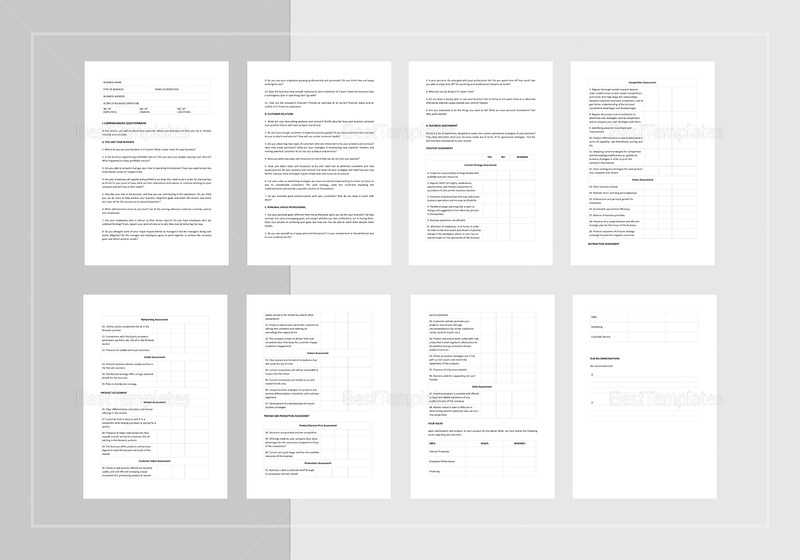 Use this Business Needs Analysis Template in getting ready or in preparation of starting your own business. 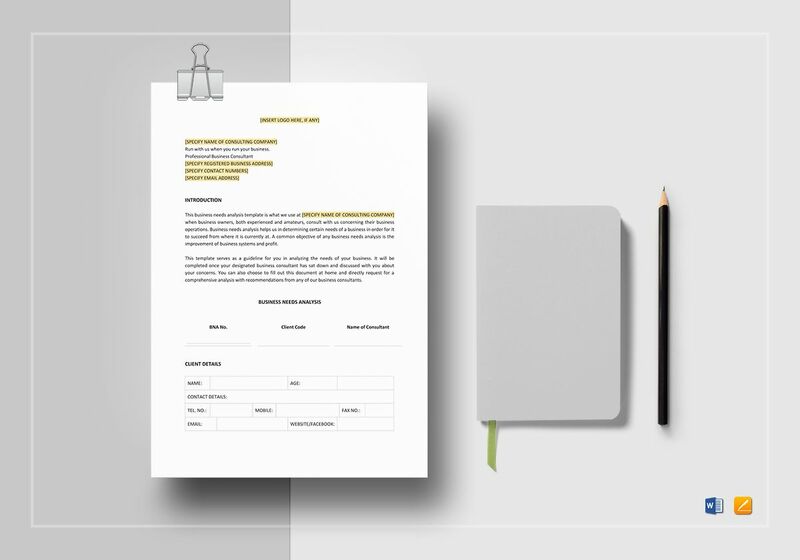 This 9-page document is available in A4 and US letter sizes. 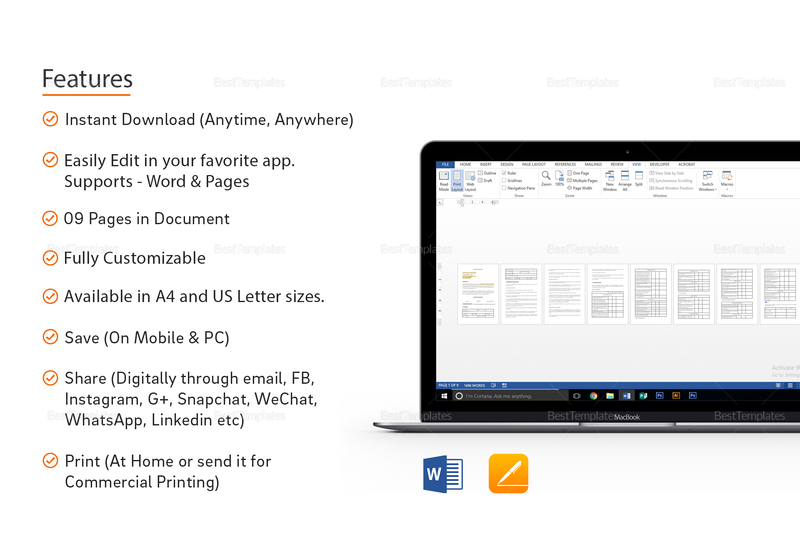 Instantly download anytime and anywhere and edit with your favorite app that supports MS Word or Pages file formats. Just replace the highlighted portions with your information and you are done. Share with your partners or investors via email or through your social media accounts.